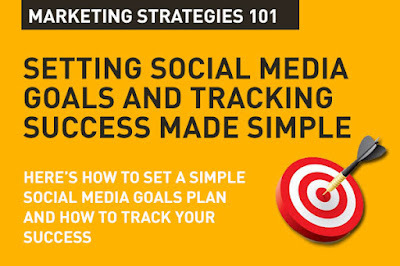 One of the key elements of social media marketing is setting goals and tracking how you succeed at achieving them. It isn't difficult, but it needs a well planned approach and it needs a structure. Here we see how to simplify social media goal setting and tracking success, and what are the metrics you should be looking at. Before you start with social media goal setting, you'll need to have a clear understanding of your target audience. Actually, whether you are using the power of social, or Search, or online advertising, you'll need to get a compass about your customer, your target audience. Remember that Customer Insights is your First Step in Digital Marketing. Remember that, like any goals you set for yourself – or your brand – they should be SMART (Specific, Measurable, Attainable, Relevant and Timely). Which means you need to have some sort of a social media map with the right metrics to track your goals. Your first step is to outline your target audience's Customer Journey, and to do that you need to first clearly outline your main goal. Do you want to create brand awareness? Increase sales? Generate leads? Build a great reputation? Use social for customer service? Then you'll know what you want to achieve across the journey. Your objective is towards moving your audience through the main steps of the journey. Simply, in marketing terms this was the AIDA model (Awareness, Intent, Desire, Action). But today, with social media we have more. Today we move from Awareness to Consideration, where you start with simply creating awareness about your brand or product. Then you want to generate demand where the audience moves from Awareness to Consideration where there is some sort of intent to engage with your brand and intend to buy the product or service you have. You need to move then to the Decision stage – where you convert consumers to customers. Your customers then move to the Adoption stage where you delight your customers with the experience. This is where you create positive impact so that your customers become loyal to your brand, and become fans, supporters – they move to the Advocacy stage where they inspire others about your brand and product or service. Across the above stages in your customer journey, it's critical that you keep your brand ears open. You really have to listen out for what's being said about your brand, your competition, your vertical, the industry and more. That's how you plan what actions in social you'll take. The importance of listening in social media, and how to get it right. Awareness: Expose your audience to brand content, related content, topics of interest that engages them, and where you become a trusted source of information. You do this via posts across your channels, boosted or promoted posts and content that is of interest to the audience at this stage. Here your KPI's are impressions and reach. How far did your tweet travel, for example? (check out this simple tool TweetReach here, I find it hugely useful). Consideration: At this stage you'll want to engage the audience with brand content, with posts and responses to queries, listening out for what's being said, asked, discussed about the 'solutions' that your product can provide for example. Engagement is the keyword here, and your KPI's will include tracking the number of engagements and the types of engagement. Track visitors to your website, or the page where you wanted them to land on. Decision: Now you want to push towards a positive decision about your main goal, whatever that you've set out to achieve. Here you'll post directly about the benefits of your brand or product, and you'll be aiming for conversion from consumer to customer. Your posts may include special offers, promotional content and testimonials that help drive conversion. Your KPI here is to track how many click throughs you get through to where they will purchase – and that's usually your website, your e-commerce page, your 'sales vehicle. Advocacy: At this stage, once you have a delighted and satisfied customer, your posts should inspire evangelism. Your posts encourage User Generated Content. Your posts asks for testimonials, for shares and reshares. Your KPI's here are earned impressions, earned reach (from your advocate customers doing social for you), and your social content that's being generated and shared by your customers (UGC). You can use influencer strategy and use the power of the positive word of mouth. Across these stages, you'll need to mix up your strategic action points – there will always be people across all the stages, so you can't put a timeline to your type of action or post strategy. Unless you have a well spread out audience, you will find it difficult to achieve your goals. Brands need good following to succeed on social. Here are • 11 simple ways for brands to build better following on social media. • Social Media Frequency 2016: How often should you post. Finally, social media today is all about content. Have a good content strategy planned out, but don't let goals come in the way of great content. Is your editorial calendar holding you back from inspired content? 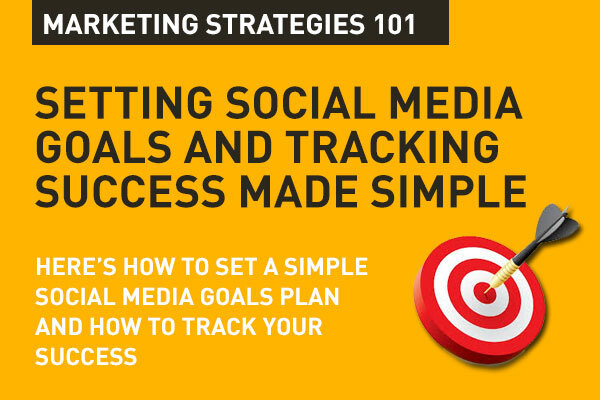 That's the basics on how to go about preparing a simple social media goal plan, and how to efficiently track your success. That's simple, and that's Digital Marketing 101. Very useful post on how to outline social media strategic goals. Appreciate mentioning each level's KPI setting as well. This is a proper structure for social media strategy. The links provided are also very useful. One point: the importance of social media monitoring as part of the goal setting should have been highlighted more. Thanks. Good points covered here. Social media monitoring itself needs a whole list of goals that you set, perhaps another topic for a post? Thank you for the TweetReach by Union Metrics shoutout in this. We appreciate it! I use Hootsuite to manage my social media accounts but sometimes, I feel that I still have too much left to do and too little time to get everything done. There are even times when I think that I’m in the brink of a burnout. So, thanks for sharing these tips. I think I’ll even print this infographic and post it where I can see it all the time!!!! #social #media #listening & #monitoring #company uses # best social media #sentiment #analysis tools, media #intelligence tools, Market monitoring tools, social media #trending tools, USA, UK #Market.